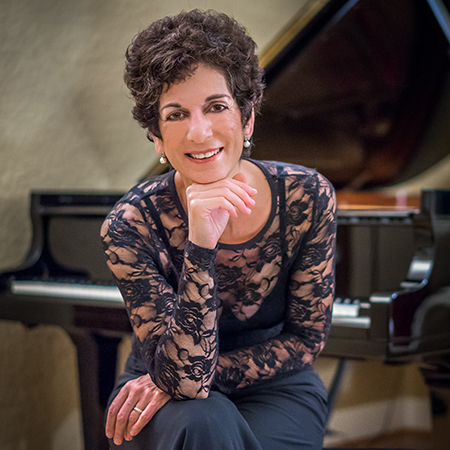 Regarded as one of Vancouver’s most respected piano teachers, Dr. Carla Dodek has taught piano since 1983 with extensive experience teaching all levels and ages. She has held positions at Rice University and at Houston Community College and currently manages an independent piano studio in Vancouver. Dr. Dodek shares her expertise as lecturer in recital, as adjudicator and clinician, and in master classes teaching both students and teachers. She is also highly regarded for her work as a mentor to the Student Teachers’ Auxiliary of the BC Registered Music Teachers’ Association. Carla received her musical training in Canada, the USA, England and France with renowned teachers Robin Wood, Gyorgy Sebok, Artur Balsam, John Perry and Vlado Perlemuter. She holds Bachelor of Music (UVic), Master of Music (Manhattan School of Music), and Doctor of Musical Arts (Rice University) degrees as well as the Licentiateship from the Royal Academy of Music (UK) and the Associateship from the Royal Conservatory of Music (Toronto), all in piano performance. She has participated in the Banff, Aspen, Ernen Musikdorf and Kneisel Hall music festivals and has performed extensively as soloist, chamber musician and recitalist in Canada, the USA, England and Switzerland. Carla has appeared locally on such series as Music in the Morning, the Playhouse Coffee Concerts, the Richmond Gateway Coffee Concerts, the Coast Recital Society, the Chutzpah! Festival and as guest soloist with the Vancouver Philharmonic and the Pro Nova Ensemble. Her numerous awards include First Prize in the Northwest Young Artist Competition as well as multiple grants from the Vancouver Foundation, the BC Cultural Foundation and the Canada Council for the Arts. Her diverse interests include the French School, the physiological and psychological involvement in performance, the relationship between visual art and music, and performing and coaching both solo and chamber music of all periods.